It's the space that I enter when brush hits canvas, mark and flowing pigment reveals form and time stands still. How do you measure time? 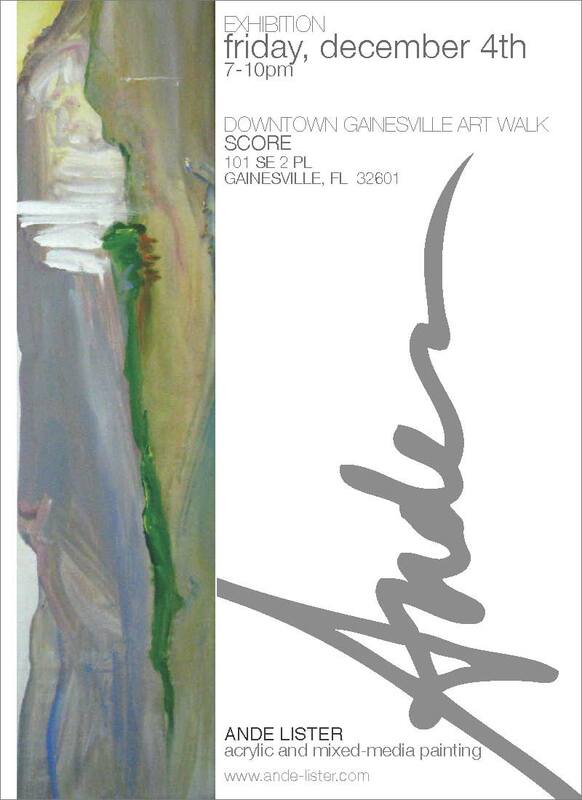 I will be exhibiting a collection of paintings at the Holiday Art Walk in downtown Gainesville, FL. Friday, December 4. I hope to see you there!